Whenever I edited a text in the game in a hex editor (PERFECT, K.O., etc. ), I entered arcade mode as an example and the announcer said "WELCOME TO THE KING OF IRONFIST TOURNAMENT 4", but the select screen didn't appear. Instead, a blank screen appeared and the game didn't do anything. As a test, I typed "asm6 smbdis.asm", then the programme spitted out a SMBDIS.BIN file. What to do with it? Because I'm fed up that I'm unlucky in this NES compiling thing. Somebody write me down how exactly this works! I want to edit the PPU of the first player palette (which is red) to be blue. But in the PPU memory I can't even edit the P1 palette as it changes back to red again. Debugger needed? ASM coding? Help me. Well, I tried to modify the "MARIO BROS" part of the title screen in this Famicom Disk game, but after modification the title was the same (except the top of "MARIO"). Is it because the game is "Disk Writer" version or something else I did wrong? EDIT: Nevermind, I checked and now know what was wrong. I know I already asked this before, but I want real answer: How the heck can I run for example a VS. Super Mario Bros. hack I made? Since I'm planning to do arcade hack in the future, but I need your help, too. Because I received error that the checksum is wrong and I wanna know how to pass it. I also especially ask it, because there's a VS Super Mario Bros. hack called VS Skate Kid Brothers. I want constructive answers only! 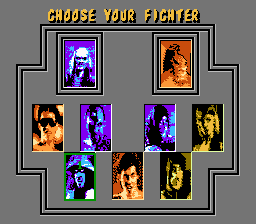 ROM Hacking Discussion / Mortal Kombat NES hack: separated color for each select screen portrait? Well, I wanna ask whether how can I change, then separate the palette of each select screen portraits. Liu Kang, Cage, Shao Kahn, Jax, Kintaro, Baraka, and Raiden have red-color portrait. BUT: I want Liu Kang to have green palette for example. How can I do that? With simple hack or only ASM code (I don't want to waste my time with learning ASM codes!). EDIT: Same goes for Mortal Kombat II NES. Here, I want Scorpion to have red-colored portrait. Well, I think you must have been known the 8-year old genius, Commander Keen. But I don't know if there are audiences for the game here (especially for the translation). Vote now! You have a week to do that. Decide whether Keen translations are needed or should be submitted here. text has blue and orange colours. Hey, after months I present you my in-progress work, which is Side C of SMB Gold Edition. 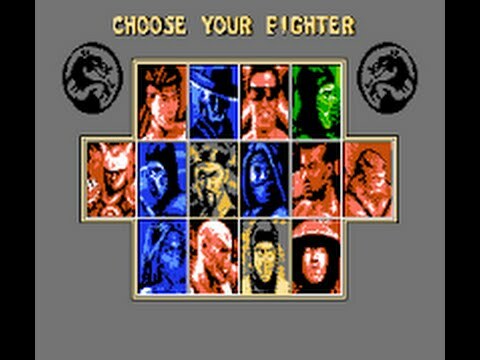 Let's suppose I wanna make MK1 Snes hack, where Reptile is selectable on the select screen (replacing the dragon symbol between Kano and Sub-Zero), but I don't know how to make it. Is it only possible with ASM knowledge? Hey, I'm using Fceux 2.2.3 and after I modificated a Famicom ROM file (like letter graphic or something elses besides graphics, I cannot see the graphic changes in the PPU. I used YY-Chr and I pressed +1 to correct the set of the graphics. What can I do? Because earlier Fceux doesn't do this! Gaming Discussion / Clu Clu Land - Player 2 name? Does anybody know what's the name of the second player in Clu Clu Land? I know the red fish is Bubbles. And the green? Somebody help me. And I'm asking how to do it hexadecimally. Help me, because all hope died for me! I know that TEKKEN3.BNS contains the model textures, which can be modificated. But what about the other files? How can I modificate them? Help! ROM Hacking Discussion / SMB Utility: 3 players? Sorry, but I find it ridiculous that I uploaded a hack, but it was rejected, because according to an admin the ROM I used was patched and the ROM filename is not enough, I need CRC32, SHA-1, and MD5. 1. I used an original, untouched ROM, which I checked with the ROM Hasher programme. 3. The ROM informations I added for my rejected hack were also used for some of my earlier hacks (just check them), but at that time that wasn't rejected? How the heck it works after all? Well, I'm using Luigi Game IPS patch by YY, I edited all the castle levels already. That's okay. BUT: When I touch the axe with Mario or Luigi, after that both of them stop randomly at the princess/mushroom retainers. It means sometimes Mario and Luigi stops at the princess/mushroom retainers, sometimes on the princess/mushroom retainers, etc. I tried to fix it with moving the scroll stop, but with - especially Luigi - it the problem is the same. I tried it with Mario, which is kinda works, but sometimes he does the same as Luigi, too. Sorry for asking it, but where to find the hex values of the hard mode. In this video I saw that the SUPER MARIO BROS. sign is glowing on the title screen.